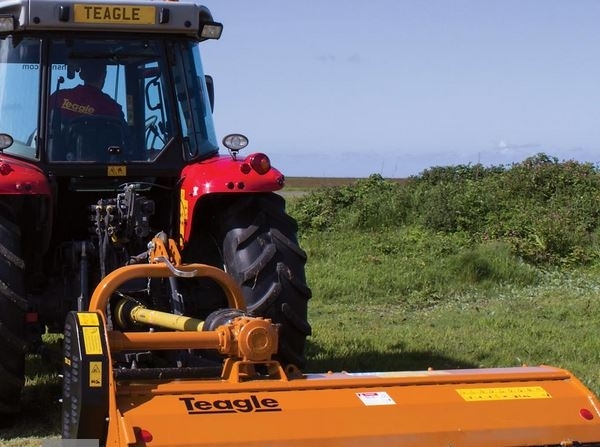 Teagle produces a range of machinery which is very much orientated around livestock farmers' needs, with specific items also being suitable for arable applications. From our industry leading range of Tomahawk feeder bedders to our latest addition, the Titan rear discharge muck spreader we offer day-in, day-out performance and Reliability. In addition we manufacture a complete range of Fertiliser Spreaders for the grassland farmer, the Super-Ted swath conditioner and a range of Grasscare Equipment including Finishing Mowers, Roller Mowers and Pasture Toppers. Teagle also distribute high quality Flail Mulchers and arable equipment including the Polymat pneumatic drill, disc and tine cultivators from the Multidisc and Vario ranges and the Roterra power harrow.